As local news broadcasts have expanded, and cable news networks have proliferated, there are more demands and opportunities for attorneys to conduct live interviews, often in the form of what we’ll call an anchor “talk-back,” where the interviewer is in one location and you are in another. If you’ve ever done one of these, you know that sticking an earpiece in your ear and conversing with someone miles away – and making it all appear “normal” – can be an acquired skill. Here are some specific practices to follow in order to showcase your knowledge in the best possible light. 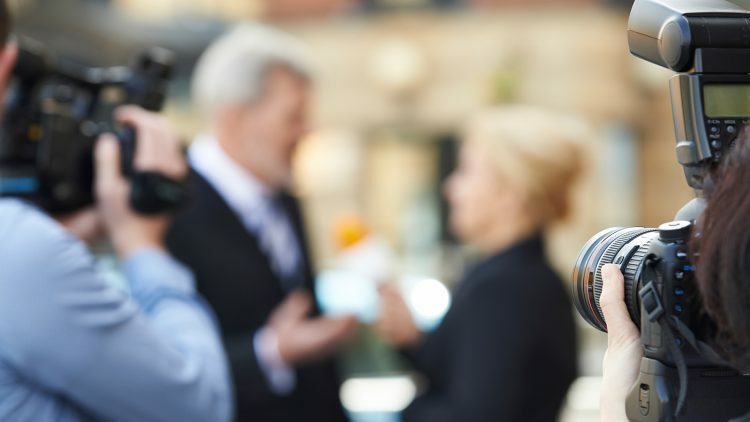 In most interviews that are recorded before air, you should be looking at the reporter and not the camera; doing so makes it appear that you’re selling something or maybe even running for office. But in the talk-back scenario, the opposite is true. You should maintain eye contact with the camera, as it’s the “person” you’re talking to. Don’t feel bad if takes a while to speak to an inanimate object – the camera – as if it’s a person. It’s an acquired skill, one you’ll improve upon with practice. Very often in the “talk-back” environment, the crew will place a television monitor near the camera so that you can see yourself, the host and anyone else who’s a part of the conversation. Our advice is that you ask the crew to turn off the monitor. Like a mirror, the monitor can be distracting; it’s natural to want to break eye contact with the camera and look at the monitor to try and see how you’re doing. If it’s turned off, the temptation to do so is gone. Doing live interviews requires a tremendous amount of concentration. You need to clear your head of everything else and think only of that subject for the period of time that you’re on the air. But at some point you may draw a blank. If that happens, don’t panic. Simply use the themes and messages you developed in advance of any media interview, get the bicycle rolling again and move along. Basic rule: any camera that you’re sitting in front of is live. Even if you’re not on the air, someone somewhere in the building could record what you and others are doing and saying during a break. In our modern environment, it’s not at all uncommon for such embarrassing video to find its way to YouTube. This is a close cousin of the above. When you have a microphone on, count on everything being heard or rebroadcast later and choose your words accordingly. It’s normal and human to misspeak. The audience won’t care unless you crumble as a result. If you stumble verbally, correct yourself and continue on. Don’t allow it to derail you and it won’t derail the viewer. In media training with our clients we often point out (and sometimes observe) how the camera tends to rob people of energy. To account for this, look for various means to add energy to the frame. Remember that, regardless of the setting, you’re talking with another person, and you can boost your energy by gesturing with your hands, raising an eyebrow and allowing your voice to rise and fall naturally. Do the things you normally would do in speaking with a colleague or friend. …or use whatever expression is appropriate for that part of the discussion. Obviously you don’t want to grin when discussing a tragedy. But when irony, an interesting twist or the turn of a phrase might make one smile, go ahead. It’s good for everyone’s appearance. When you’re in a “talk-back” environment with other guests – particularly if those other participants are also attorneys – it’s easy to default to technical legal arguments and terms. But remember that most reporters and certainly most of the people in the audience never went to law school. Make sure you’re explaining the law and your opinion as clearly as possible to them. Don’t overthink the situation. Producers may initially invite guests to conduct live interviews solely based on your expertise, but they’ll invite you back if you’re confident, comfortable and express yourself well. Any broadcast interview – but especially one in a live setting – is highly effective for posting and linking on your website and other social media. Search engines place a premium on video, and other producers, reporters, referral sources and prospective clients are going to notice.